Nature has an amazing way of sustaining itself. The cycle of life is truly fascinating. Plants grow and are either eaten or die, becoming a natural fertilizer for the next generation of plants. Bees and other insects spread pollen from one plant to the next encouraging germination. The animals that eat the plants create manure, which adds more nutrients to the soil. As animals leave their piles of waste all over the forest or fields, both seeds and fertilizer are spread around to promote new growth. Then when those animals die they also decay and the nutrients from their bodies replenish the ground. The whole system is mind-blowing! So if animals leave their feces all over the ground and it is beneficial, why don’t humans do the same thing? Why would we flush something so useful down the drain along with a gallon and a half of fresh drinkable water? Allow me to give some of the reasons why people do not use human manure. I will also endeavor to explain why these reasons are unfounded and sometimes simply incorrect. Human feces carry diseases! Isn’t it too dangerous to use? First of all, yes, human poop does carry bacteria and pathogens when it first leaves the body. However, most of the bacteria cannot survive outside of the body and begin to die off very soon after being expelled. There are also several steps that can be taken to help this process along. These steps ensure that all of the harmful materials are fully decomposed into something usable. The best thing you can do is wait! Compost piles tend to absorb and retain heat, and most of the harmful materials will die out when the pile reaches around 122 degrees Fahrenheit. 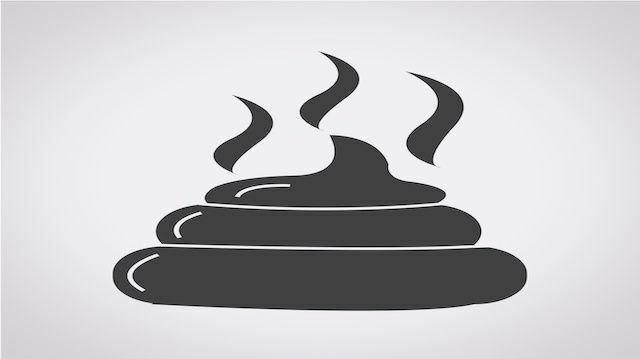 To use human waste as manure, it is best to amass a sizable amount of poop and let it sit for at least a year. It may not actually take that long, but it is hard to gauge whether compost is ready all the way through or just in certain areas. A year is ample time to make absolutely sure. The compost will mature and ripen as the materials in it decompose further and mix with soil. It takes a year or more to get a good rotation going, depending on the amount of compost available. This is also correct, but again there are ways to solve the problem. The main thing is to keep your compost covered. Tarps can help, but what really helps the most is a layer of fresh dirt mixed with straw, hay, grass clippings, and sawdust. These all absorb and trap odors and prevent flies from being drawn to the compost. It is still a good idea to keep a composting system some distance from your home, maybe behind a shed or barn. Even if you can keep the smell down, it is not the most pleasant visual centerpiece for your yard! How do I make my own “humanure” system? “Humanure” or human manure can take some time to be ready, but it is not difficult to make or maintain. The first thing you will need is a collection system. A couple of five-gallon buckets should do quite nicely as your toilet receptacle, but remember to line the bottom of the bucket with straw or sawdust so that the poop doesn’t stick and is easier to dump out. And make sure the buckets don’t get used for anything else without a thorough cleaning. A toilet seat can be fashioned out of scrap wood or even an old chair! Feel free to get creative as long as your toilet remains sanitary and cleanable. Place the bucket underneath, fire a torpedo, and dump it onto your compost. You also don’t have to limit your compost to just feces. Many kinds of food waste, urine, lawn clippings, rotten mulch, branches and twigs can be added to the pile to give yourself a nice cocktail of nutrients and minerals. Fill the first bin with fresh materials. When it is full, mark the date on it so you know when it is ready for use. You can begin using the compost one year from the marked date. This ensures that you don’t have any material mixed in that is too fresh. At this point, you will need to start filling another bin. Eventually, as your compost rotation continues, you will need more containers, until the material from the first container has reached the one-year mark and is ready for use on your garden or lawn. Once you have a pile going, make sure that it does not get too wet or too dry. There are helpful bacteria that need to be kept alive in order for the decomposing to happen. These bacteria need moisture and warmth. Thankfully, the helpful bacteria can survive longer than the dangerous bacteria at high temperatures. Whereas the harmful kind will die out between 120 and 140 degrees Fahrenheit, the helpful kind will only die out if the temperature exceeds 140 degrees. So keep an eye on the temperature as well as the moisture. Too cold and it will freeze. Too hot and all of it will die. Once you have your bin system in place, you don’t need to do a lot other than checking on it every week or so, or if there are any sudden weather changes. How do I use humanure? You can use it just like any other type of fertilizer! Be careful not to overfertilize and pay attention to the needs of individual plants. Otherwise, have fun pooping, and enjoy using your homemade manure to grow healthy, beautiful plants and vegetables. Remember… the healthier your diet, the better your compost! Kyle is an outdoor enthusiast with a passion for nature and sustainability. When he is not writing, you will find him in his workshop crafting with local wood, hiking in the Arizona mountains, fly fishing, horseback riding or putting together a healthy meal in the kitchen. Hey Buddy!, I found this information for you: "Wait! Don’t Flush That Poop… It’s Useful". Here is the website link: https://www.thealternativedaily.com/uses-for-poop/. Thank you.